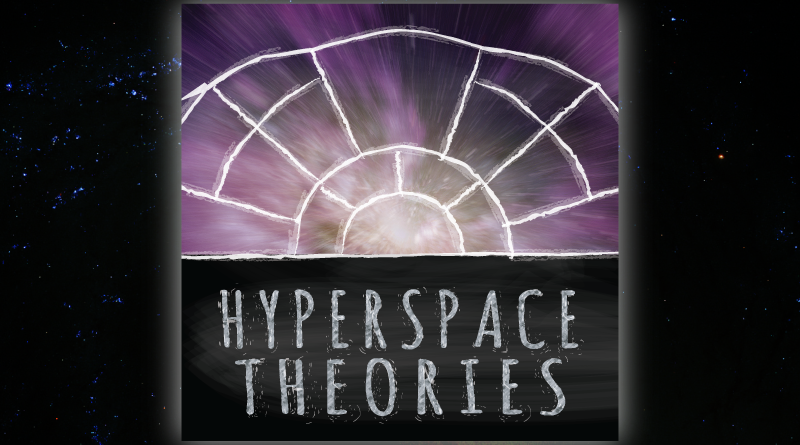 In this month’s episode of Hyperspace Theories, we discuss Star Wars storytelling from a range of mediums, including books, television, and movies. Kay, Tricia, and B.J. 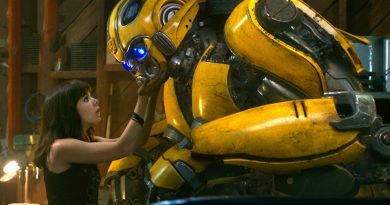 are joined by FANgirl contributor Linda for our discussion and conversation. Before getting into storytelling analysis, we share our reactions to recent officially released Star Wars news. We talk about the toy box character images for The Last Jedi, the announcement of major panels at Celebration for The Last Jedi and the 40th Anniversary of Star Wars, and the beginning of principal photography for the young Han Solo standalone movie, which also included confirmation of several additional cast members. For our meta segment, instead of examining our usual theme of speculating wisely we delve into the ongoing problem of unapproved spoiler leaks made by individuals with review copies of books. The situation garnered widespread attention this month in connection with Chuck Wendig’s new novel Aftermath: Empire’s End. 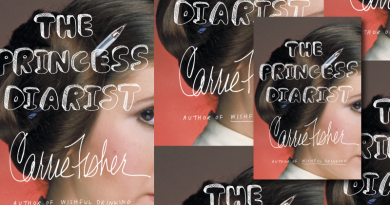 While some amount of leaks on social media has been typical, this time major genre sites such as Mashable and io9 reported on an interlude in the book prior to the book’s release. Although screener episodes of television shows present a similar risk, Star Wars fandom has been fairly lucky in that regard compared to extensive leaks seen in The Walking Dead fandom. We discuss the obligations owed by reviewers to other fans, as well as potential reactions by Lucasfilm or other franchises to reduce the occurrence of these spoilers. 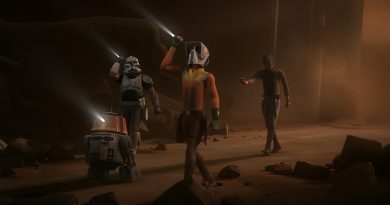 Star Wars Rebels aired a pair of episodes centered on Sabine Wren, “Trials of the Darksaber” and “Legacy of Mandalore,” that take the focus of our world-building segment. 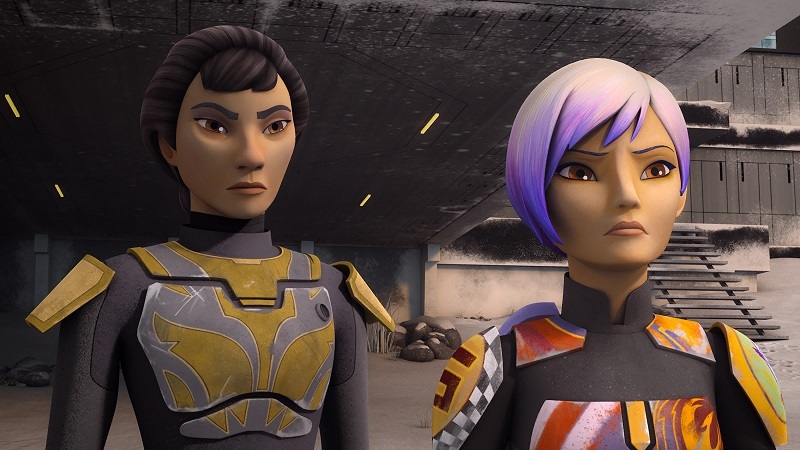 We examine Sabine’s story arc over the three seasons of the show, culminating in these episodes, especially the development of her interactions with Ezra and Kanan. We note in particular, too, the importance of “Legacy of Mandalore” as a mother-daughter story, which so far have been sparse in Star Wars. With their inclusion of the Darksaber legend and the political upheaval within the culture, these episodes also position Mandalorians as a powerful third faction in the galaxy along with the Jedi and Sith or the Rebellion and the Empire. The storytelling segment this month revisits Rogue One to analyze the controversial use of computer-generated effects to create the faces of Grand Moff Tarkin and Princess Leia in the film. 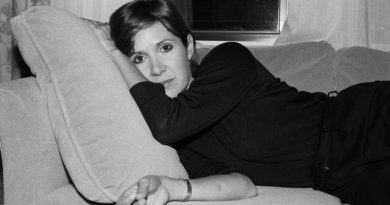 While storytelling sometimes requires the inclusion of certain characters due to the context or themes of a tale, only the live-action cinema side of Star Wars raises the issue of casting those roles with actors. In Rogue One some characters were played by their original actors, others were recast, and CG was used for Tarkin and Leia. Guy Henry’s interviews with Business Insider and The Hollywood Reporter provide insight into the creative process of performing the role, but do not answer the question whether it was necessary to digitally substitute the late Peter Cushing’s face for Henry’s. With the Han Solo movie also recasting several iconic characters, we share our thought on whether Lucasfilm should ever repeat the digital-face technique after Rogue One.